Florida is experiencing another series of fires this spring, the result of months of low rainfall. 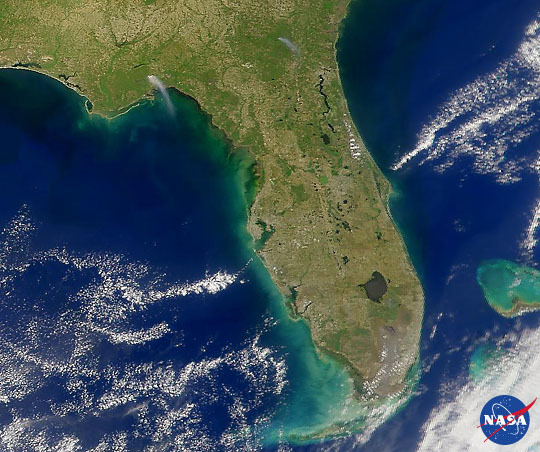 This Sea-viewing Wide Field of View Sensor (SeaWiFS) image, taken on April 19, 1999, shows two smoke plumes in the north of the state, and a dense, low pall of smoke over the Everglades to the south. The Everglades fire burned for the better part of a week, closing Interstate 75 and threatening several Indian reservations.